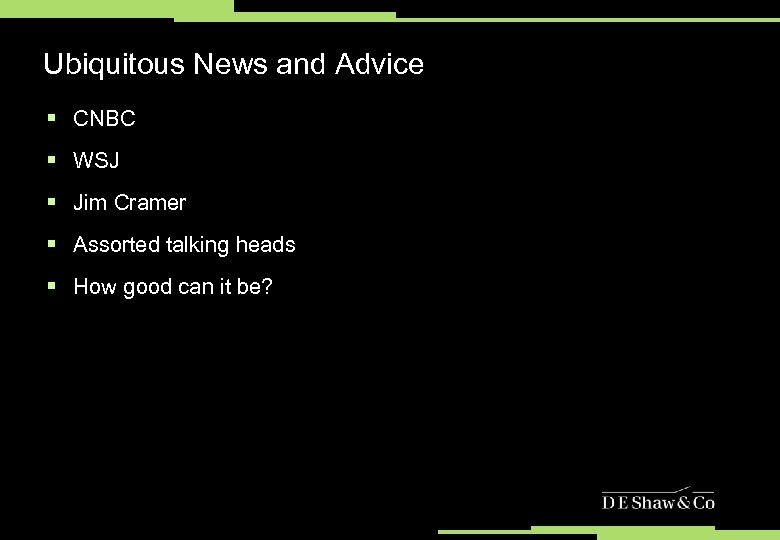 Ubiquitous News and Advice § CNBC § WSJ § Jim Cramer § Assorted talking heads § How good can it be? 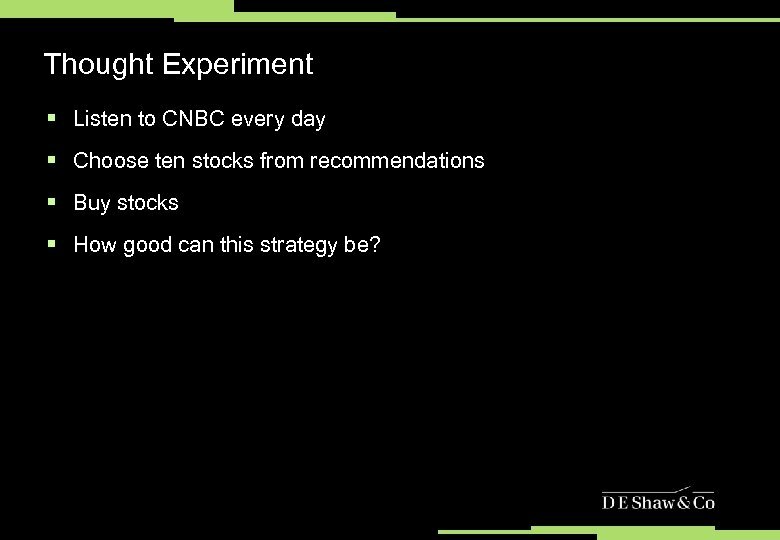 Thought Experiment § Listen to CNBC every day § Choose ten stocks from recommendations § Buy stocks § How good can this strategy be? 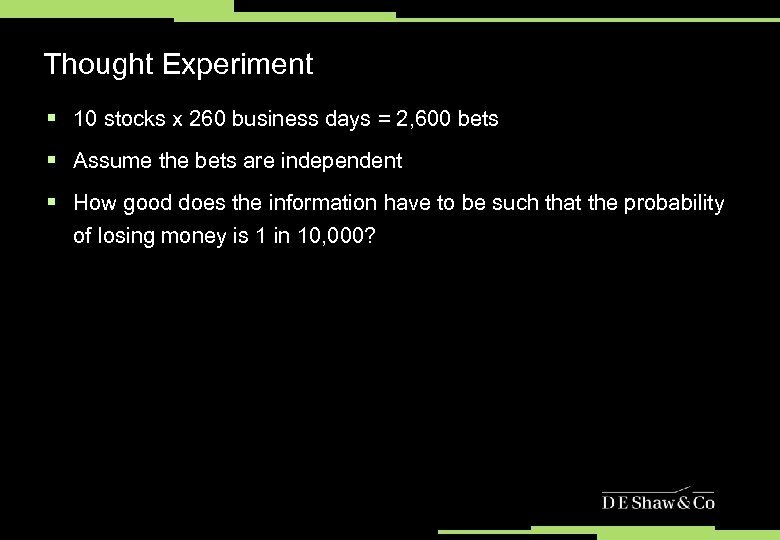 Thought Experiment § 10 stocks x 260 business days = 2, 600 bets § Assume the bets are independent § How good does the information have to be such that the probability of losing money is 1 in 10, 000? 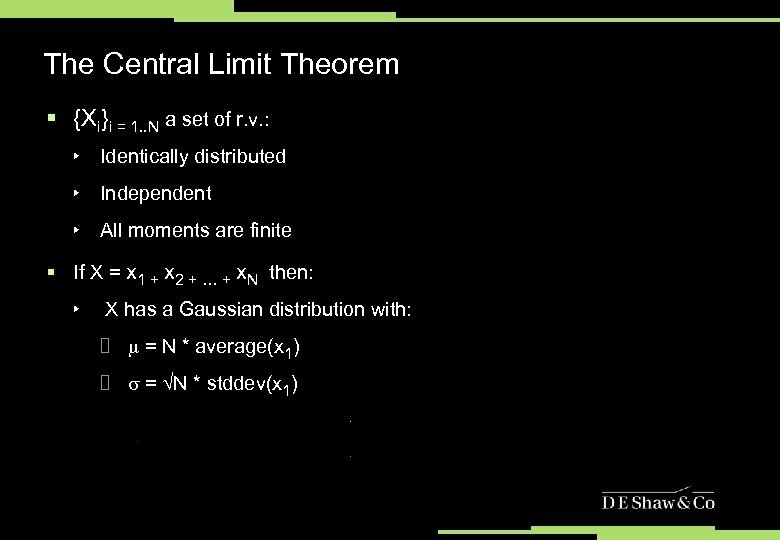 The Central Limit Theorem § X = x 1 + x 2 + … + x. N is a Gaussian r. v. with: ‣ mean(X) = = N * average(x 1) ‣ stddev(X) = = N * stddev(x 1) § For a Gaussian r. v. the probability that it is greater than zero is just a function of the ratio of the mean to the stddev: § In our experiment, our annual profit/loss will have a ratio of mean to stddev sqrt(2, 600) 50 greater than just one of our stock bets. This is the advantage of aggregation. 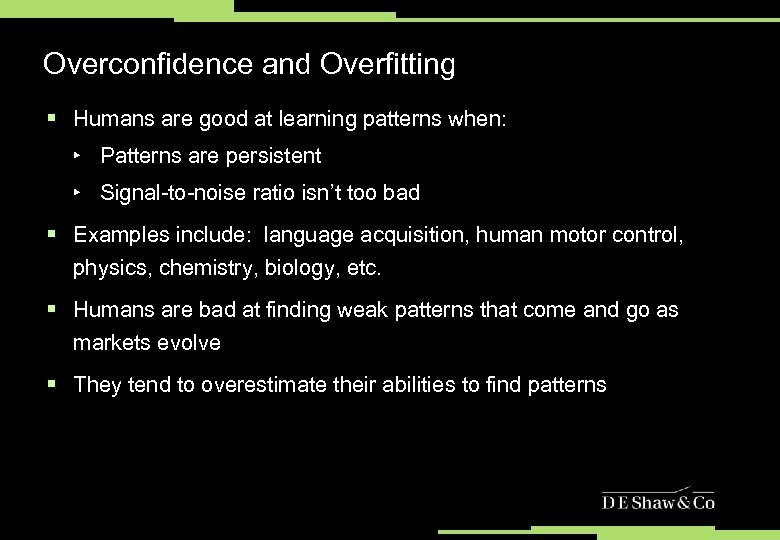 Where Are Our Assumptions Wrong? 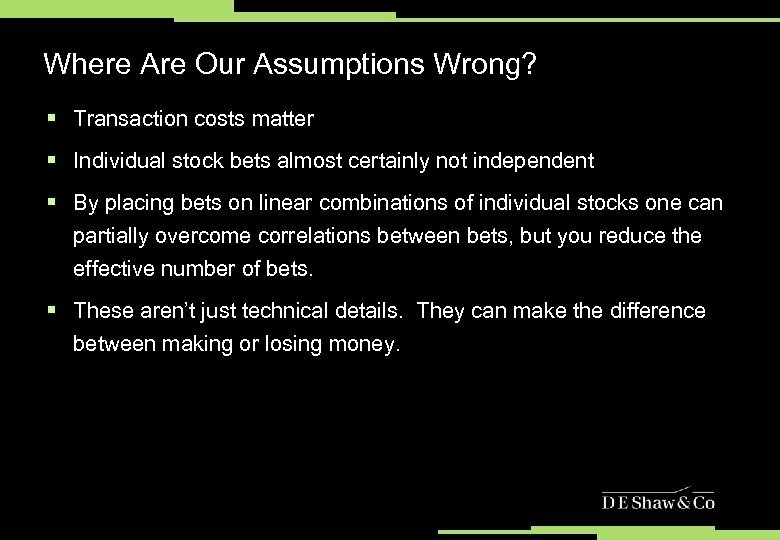 § Transaction costs matter § Individual stock bets almost certainly not independent § By placing bets on linear combinations of individual stocks one can partially overcome correlations between bets, but you reduce the effective number of bets. § These aren’t just technical details. They can make the difference between making or losing money. Consequences of Diversification § For our example, we want Y - 0. 2*X, but we get to choose the value of X. We can choose the level of risk! § If we choose X 2. 4 and Y -0. 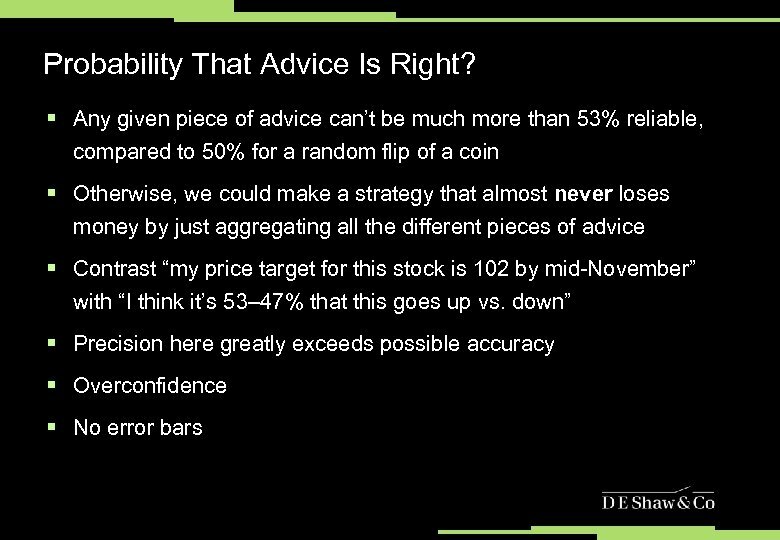 5, we get the same risk as investing everything in the Nasdaq but our return is 10. 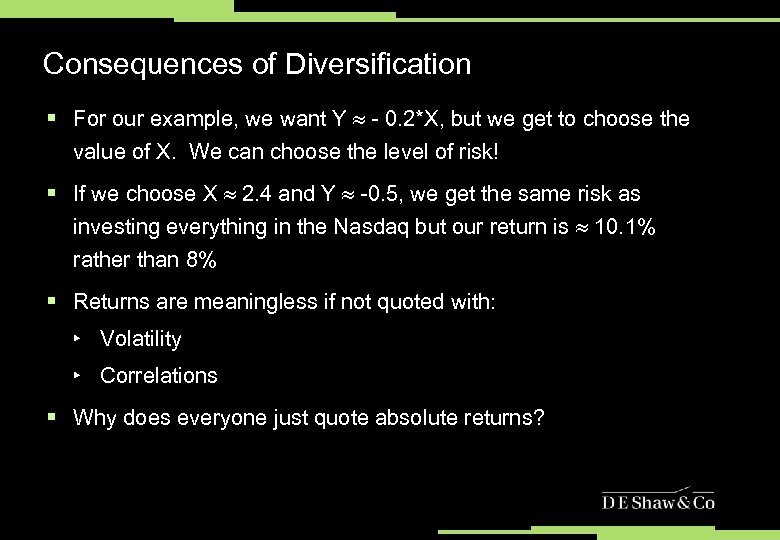 1% rather than 8% § Returns are meaningless if not quoted with: ‣ Volatility ‣ Correlations § Why does everyone just quote absolute returns? 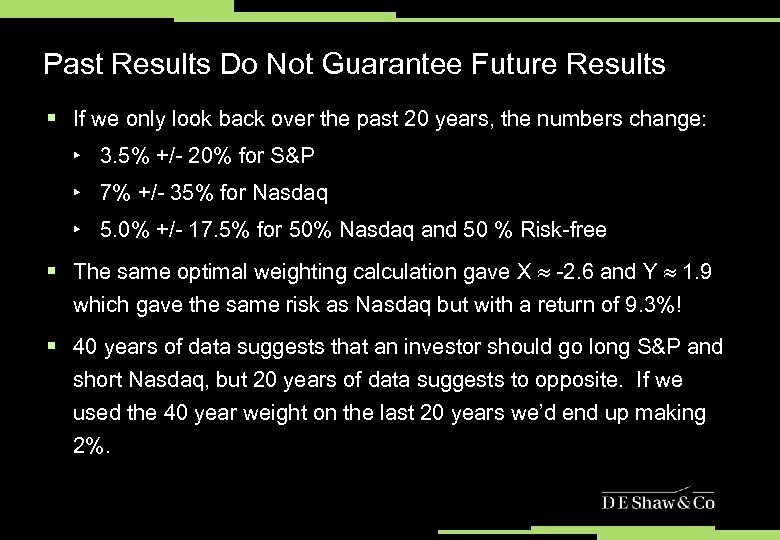 Past Results Do Not Guarantee Future Results § If we only look back over the past 20 years, the numbers change: ‣ 3. 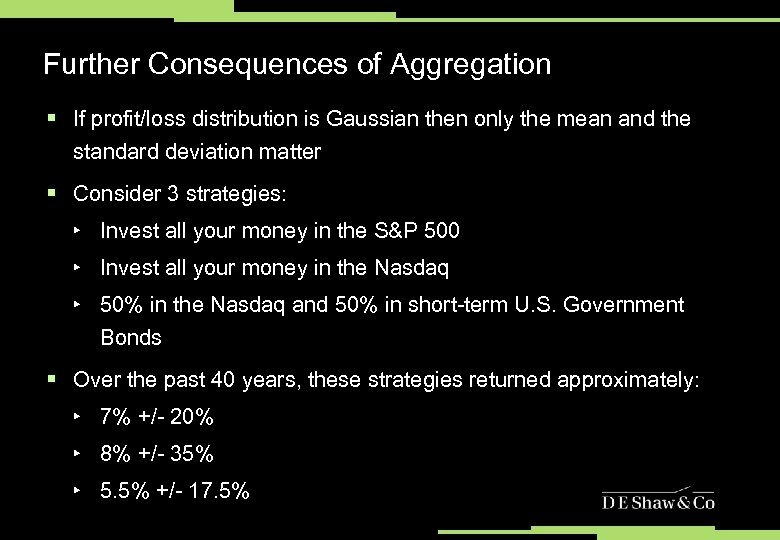 5% +/- 20% for S&P ‣ 7% +/- 35% for Nasdaq ‣ 5. 0% +/- 17. 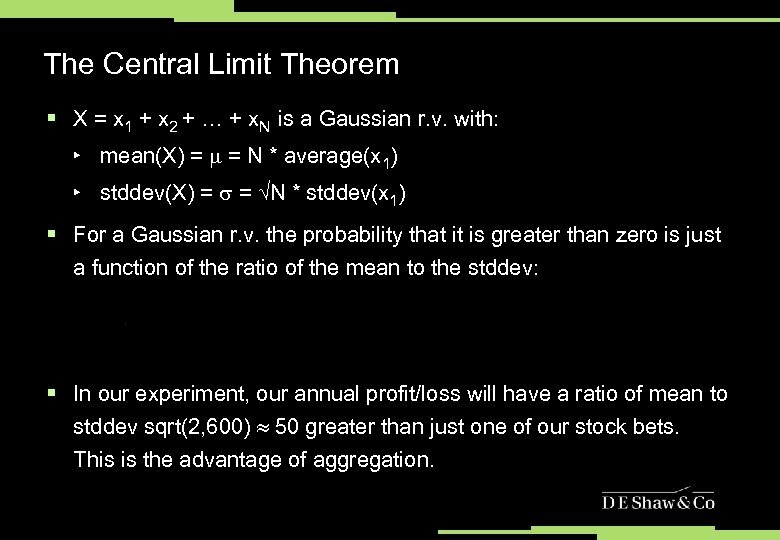 5% for 50% Nasdaq and 50 % Risk-free § The same optimal weighting calculation gave X -2. 6 and Y 1. 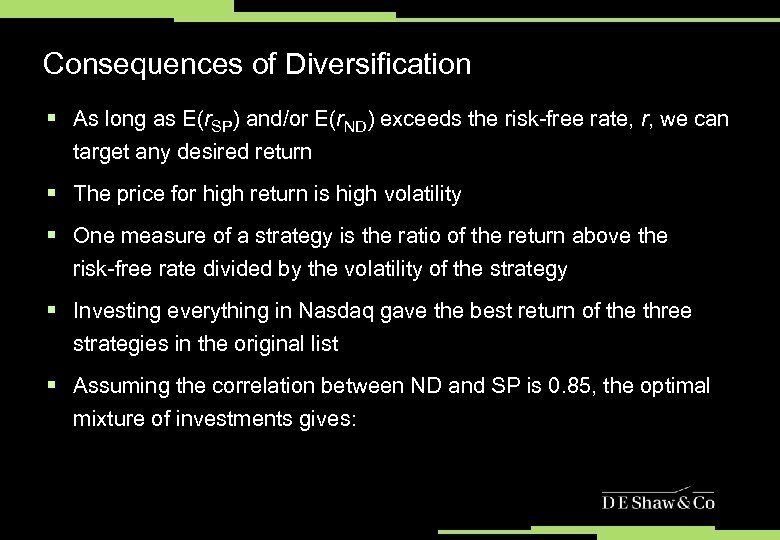 9 which gave the same risk as Nasdaq but with a return of 9. 3%! 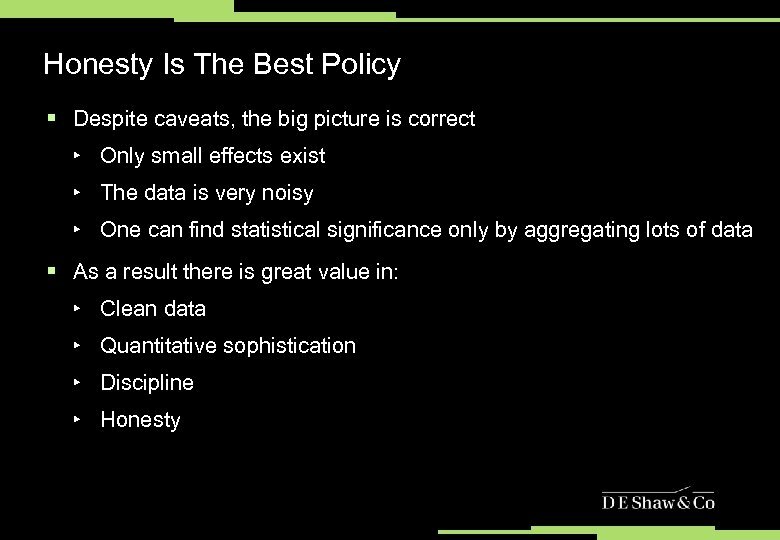 § 40 years of data suggests that an investor should go long S&P and short Nasdaq, but 20 years of data suggests to opposite. If we used the 40 year weight on the last 20 years we’d end up making 2%. 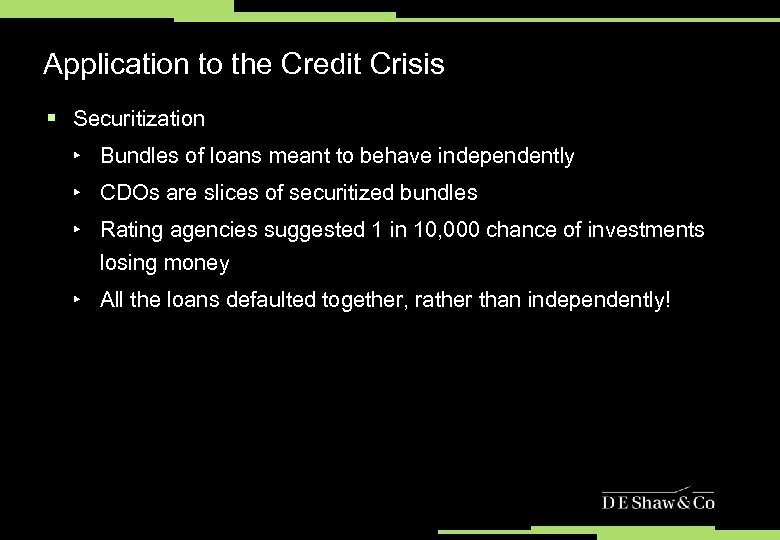 Application to the Credit Crisis § Securitization ‣ Bundles of loans meant to behave independently ‣ CDOs are slices of securitized bundles ‣ Rating agencies suggested 1 in 10, 000 chance of investments losing money ‣ All the loans defaulted together, rather than independently! 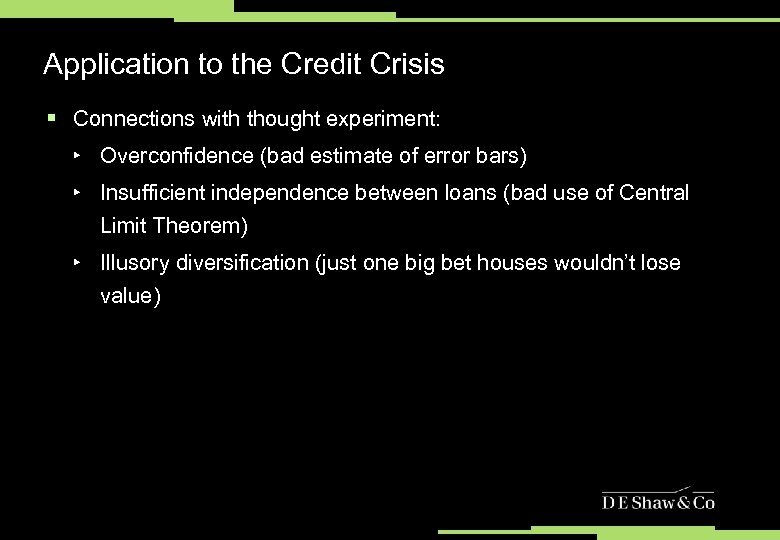 Credit Models Were Not Robust § Even if mortgages were independent, the process of securitization can be very unstable. § Thought Experiment: ‣ Imagine a mortgage pays out $1 unless it defaults and then pays $0. 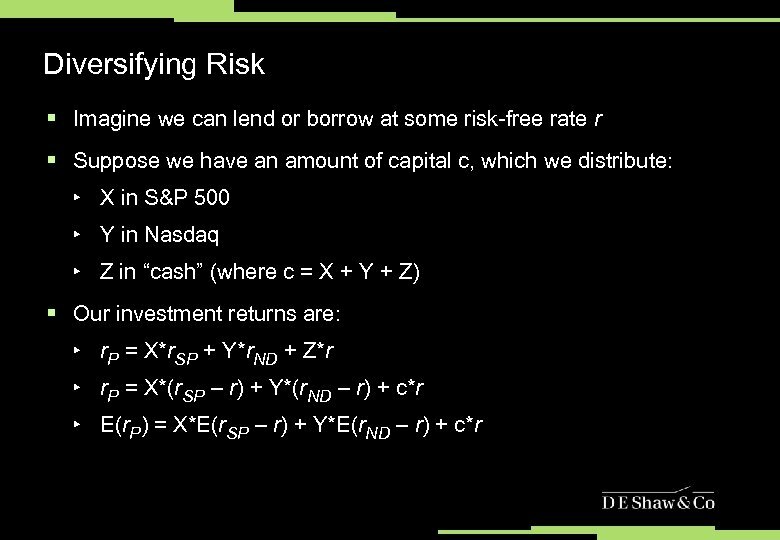 ‣ All mortgages are independent and have a default probability of 5%. ‣ What happens to default probabilities when one bundles mortgages? 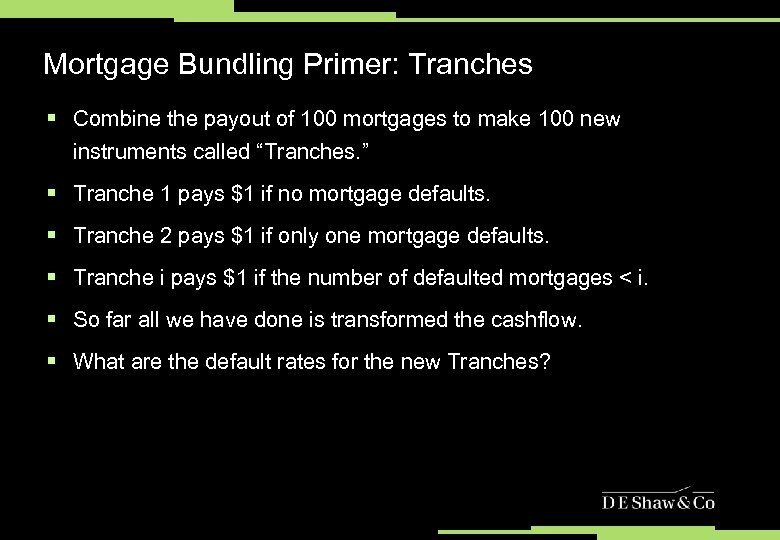 Mortgage Bundling Primer: Tranches § Combine the payout of 100 mortgages to make 100 new instruments called “Tranches. ” § Tranche 1 pays $1 if no mortgage defaults. § Tranche 2 pays $1 if only one mortgage defaults. § Tranche i pays $1 if the number of defaulted mortgages < i. 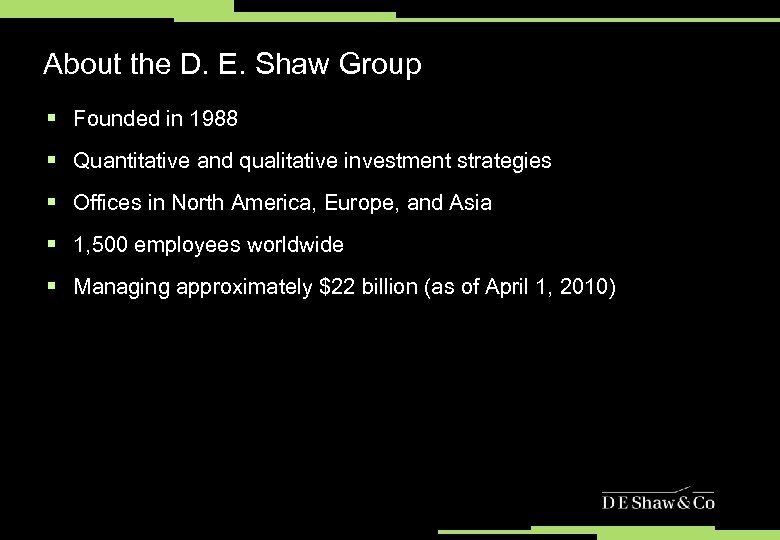 § So far all we have done is transformed the cashflow. § What are the default rates for the new Tranches? 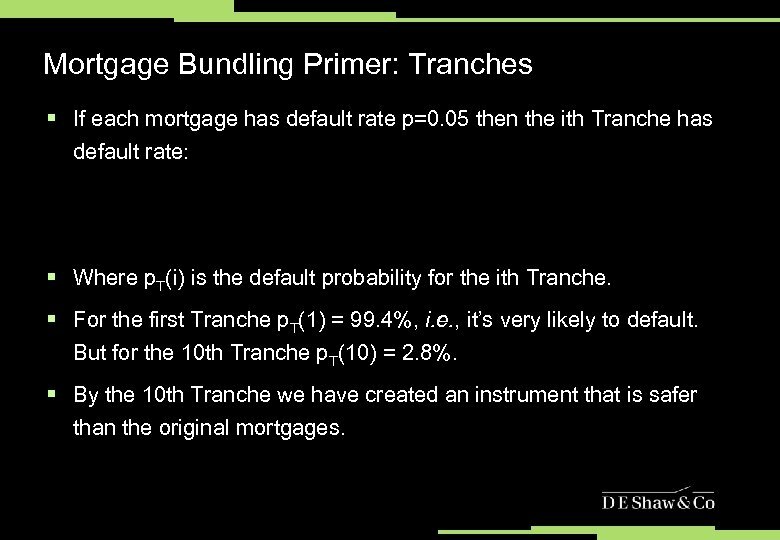 Mortgage Bundling Primer: Tranches § If each mortgage has default rate p=0. 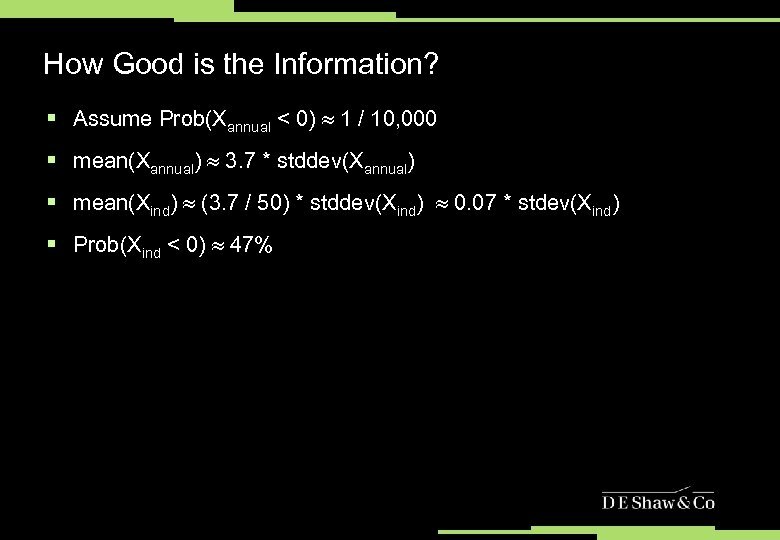 05 then the ith Tranche has default rate: § Where p. T(i) is the default probability for the ith Tranche. § For the first Tranche p. T(1) = 99. 4%, i. e. , it’s very likely to default. But for the 10 th Tranche p. T(10) = 2. 8%. 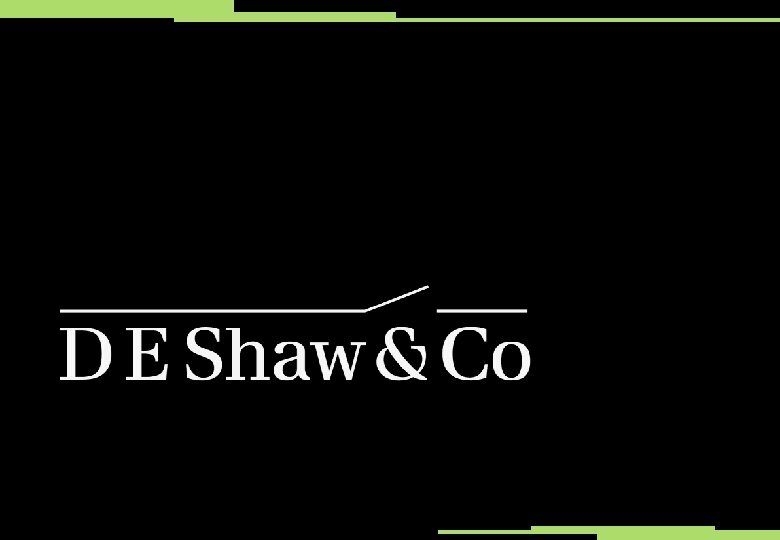 § By the 10 th Tranche we have created an instrument that is safer than the original mortgages. 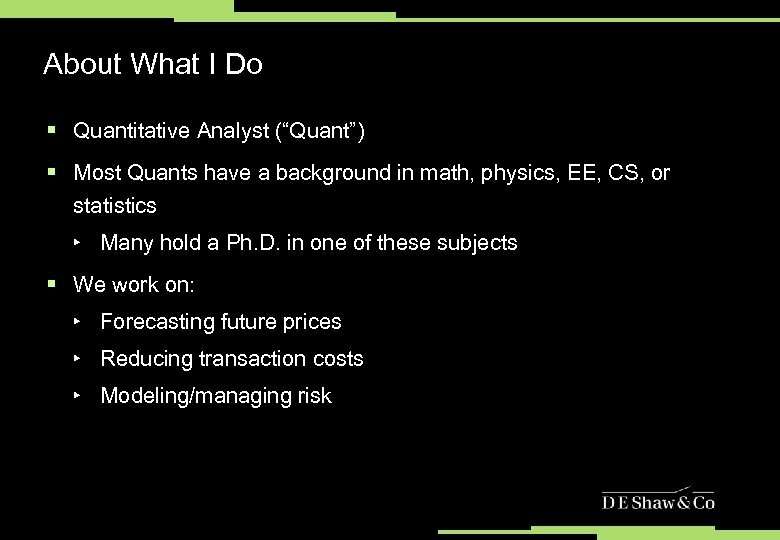 Securitizing Tranches: CDOs § That was fun, let’s do it again! § Take 100 type-10 Tranches and bundle them up together using the same method. § The default rate for the kth type-10 Tranche is then: § The default probability on the 10 th type-10 Tranche is then p. CDO(k) = 0. 05%. Only 1/100 the default probability of the original mortgages! 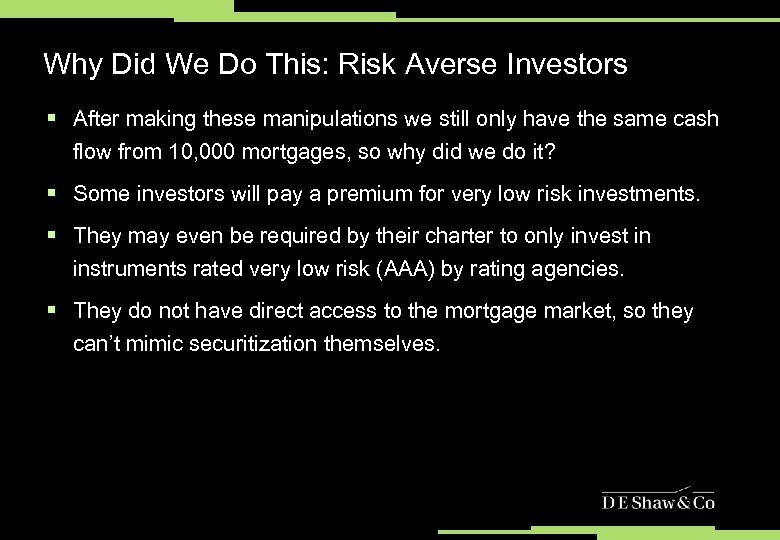 Why Did We Do This: Risk Averse Investors § After making these manipulations we still only have the same cash flow from 10, 000 mortgages, so why did we do it? 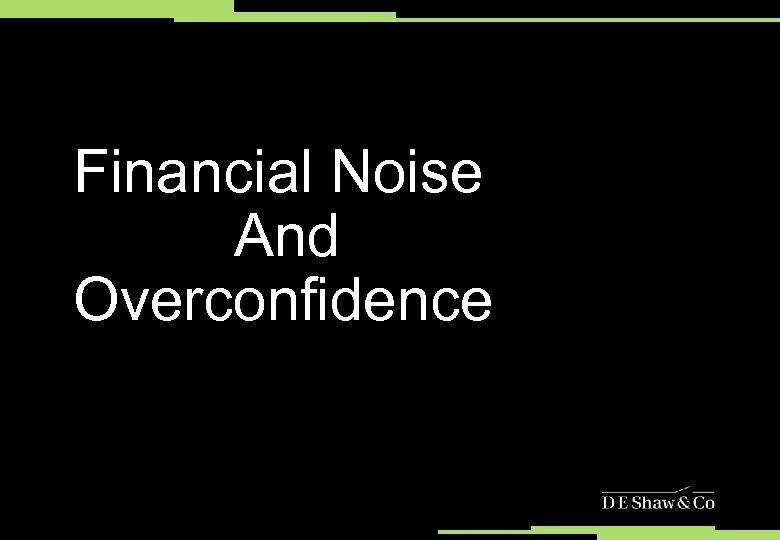 § Some investors will pay a premium for very low risk investments. § They may even be required by their charter to only invest in instruments rated very low risk (AAA) by rating agencies. § They do not have direct access to the mortgage market, so they can’t mimic securitization themselves. Are They Really So Safe? 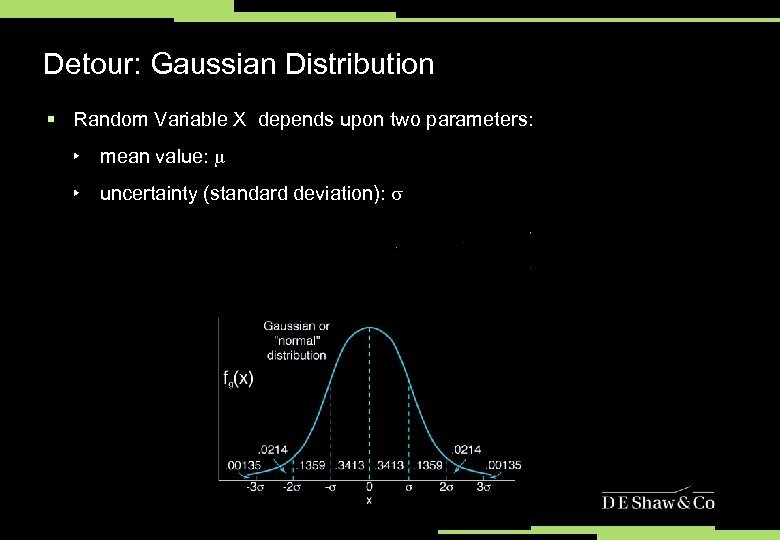 § These results are very sensitive to the assumptions. 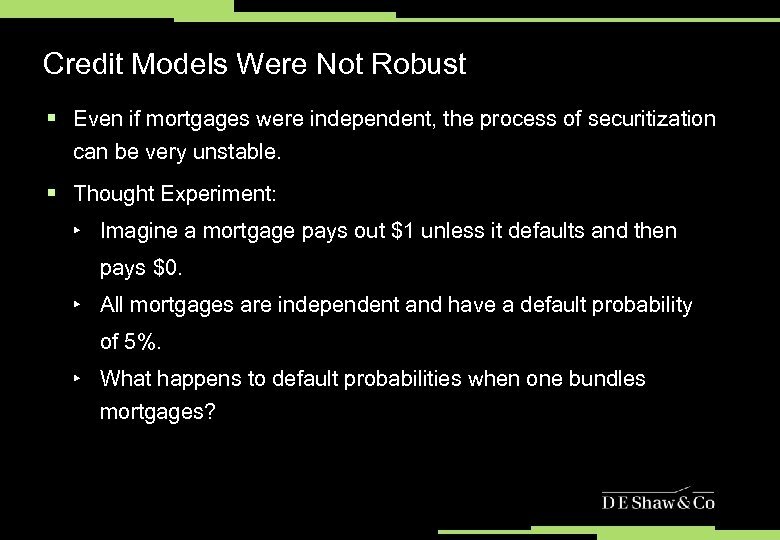 § If the underlying mortgages actually have a default probability of 6% (a 20% increase) than the 10 th Tranches have a default probability of 7. 8% (a 275% increase). 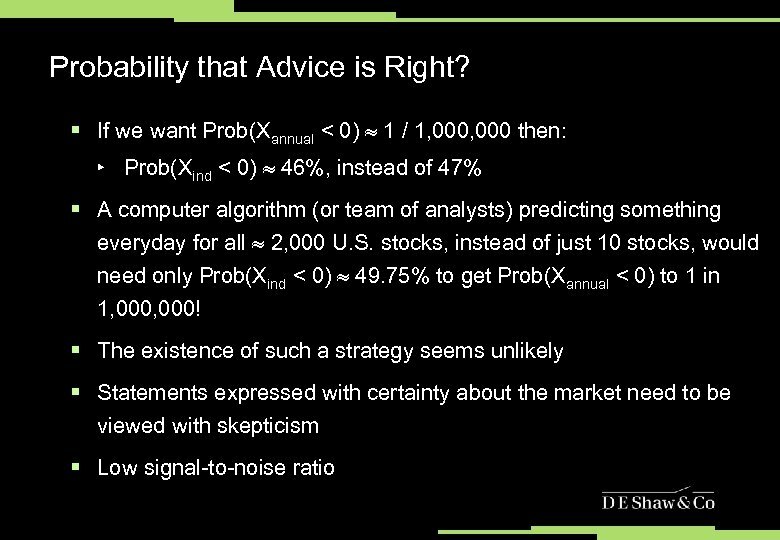 § Worse, the 10 th type-10 Tranches will have a default probability of 25%, a 50, 000% increase! 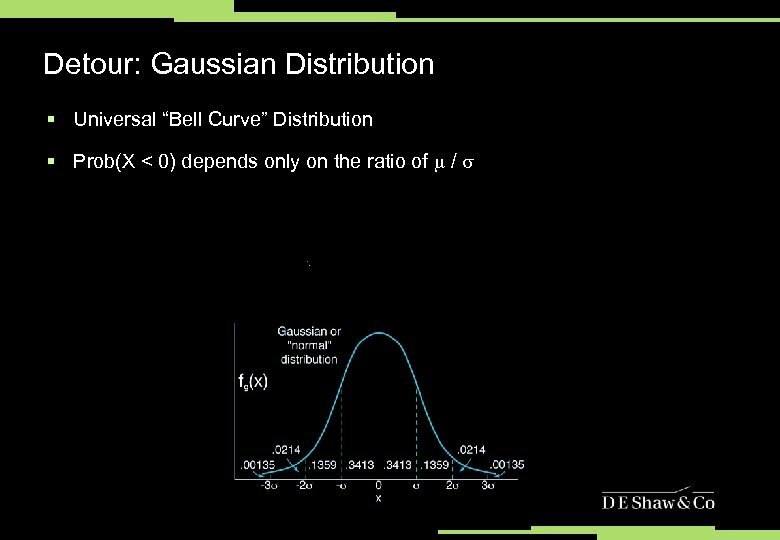 § These models are not robust to errors in the assumptions!